Enjoy our production tour as you will see our full winery and distillery facility including our barrel room, bottling line, and much more. Our guides will discuss wine and spirits production and how our Huber products will go from our farm to your glass! Book this experience online and save! Original Retail Price $21.99 per person. Enjoy our production tour and tasting package while you visit our family farm! You will be able to enjoy our knowledgeable staff that will guide you through our winery and distillery and then have your choice of a winery or distillery tasting with our tasting room staff. Bridal Shower’s, Bachelorette Parties, Women’s Retreats are all great reasons to visit Huber’s for a girls’ only outing. This is the perfect way to kick off or conclude any celebration, or just have a getaway with good friends. You and your friends will be able to relax and enjoy some of our most popular wines in our private cellar, with your very own souvenir glass; while you enjoy some light appetizers during your tasting. After your tasting, please continue having fun up in our dining area while enjoying some of our Starlight Cafe options and cocktails! Please call the winery to book this event at 812-923-9463 ext. 6401. 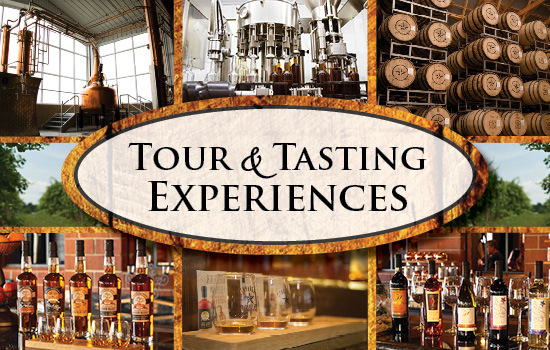 This in-depth tour will cover all aspects of our winery and distillery. All guests will start by touring through our wine cellar, continuing to our all-inclusive experience in our wine-making and distillery space; where all of your questions are sure to be answered. Your tour will cover how all of our products go from our farm to barrel to bottle. You will end your production experience by visiting our rickhouse to see our aging process and the variety of spirits produced on our farm. After your tour, you will be able to enjoy a full wine or spirits tasting in our loft. Just the two of you? Come out and spend the afternoon. Take a tour of our production facility and enjoy a premium wine or distilled spirits tasting with our most popular estate bottled products. All wines will be served in our signature 19 oz. glass or signature whiskey glass for you to keep. When you are finished up with the tasting, choose your favorite wine or cocktail while you have lunch in our dining room or soaking up the sun on the patio. This package is the perfect way to unwind here at Huber’s. Want to bring your friends? This package can accommodate up to 4 couples.